Four Paws Smooth Touch Brushes are constructed with the finest materials for long lasting use. The stainless steel pins have plastic tips to gently massage pets skin without scratching. Four Paws Rubber Curry Brush is an outstanding product for short-haired breeds. The Rubber Curry Brush will remove all dead and unwanted hair and restore a healthy, natural sheen to your pet's coat. Beggin’ Strips are mouthwatering dog treats with an aroma that bacon-craving dogs love. Why do dogs get swept up in the long-lasting fun of Busy chew treats? Maybe it’s the tasty twists and turns, the multiple layers and textures. More pudge = more fun! KONG’s new Pudge Braidz are twice as thick as original Braidz for more of a challenge and long-lasting fun. The strong, flexible weave helps floss and clean teeth during play, so your dog is working and playing at the same time! The perfect solution for Dogs consuming treats too quickly. Simply pull apart at the seam and insert a treat. Dogs are challanged to figure out how to get the treat. Perfect for edible bones, rawhide, biscuits and other treats. 3 color asst. 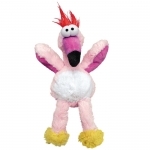 Skinneeez stuffing free dog toy satisfies a dogs natural hunting instinct. With no stuffing to rip out, they offer long lasting play. The realistic Squirrel design provides a flip flopping action dogs love. A delicious, healthy, all-naturaly mini-biscuit made with real cheddar cheese. Use these guilt-free snacks as anytime treats, training treats, or for KONG Toy stuffing. 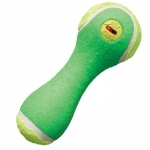 Goldies are the perfect stuffing for your dog’s KONG Wobbler. Real roasted wild boar for a great tasting complement to the dry taste of the wild formulas. 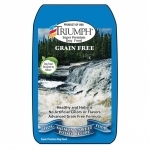 Complete and balanced formula can also be fed as a sole diet, and will satisfy even the most finicky dogs. 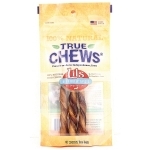 True Chews® Lils Beef Bully Twists are 100% natural and made especially for smaller dogs. 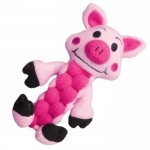 Our Lils Beef Bully Twists turn chew time into fun time. The grooves and edges of these fun shapes help cleanse and freshen teeth while chewing. Our American-sourced, American-made Lils Beef Bully Twists are made rawhide-free and without fillers. 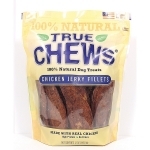 They’re a naturally delicious dog chew in a size that’s just right for smaller dogs. Your dog will thank you! All natural, high protein treat your dog will love! American-sourced and american-made. Rawhide-free. 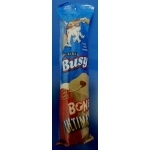 Naturally delicious dog treat containing no fillers. Re-sealable pouch. Made with real chicken! 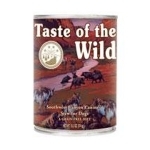 Unique formula contains a blend of animal protein sources, including wild boar, for a taste sensation like no other. Nutrient rich vegetables and fruits like chickpeas, peas, blueberries and raspberries provide natural antioxidants. Grain-free, with no corn or soy. Real salmon is the number one ingredient, which appeals to your dog's natural ancestral instincts and cravings. Easy to digest complex carbohydrates as a healthy alternative to grains, select vegetables, fruits, vitamins, and minerals. 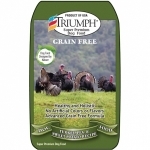 Real turkey is the number one ingredient, which appeals to your dog's natural ancestral instincts and cravings. Easy to digest complex carbohydrates as a healthy alternative to grains, select vegetables, fruits, vitamins, and minerals.